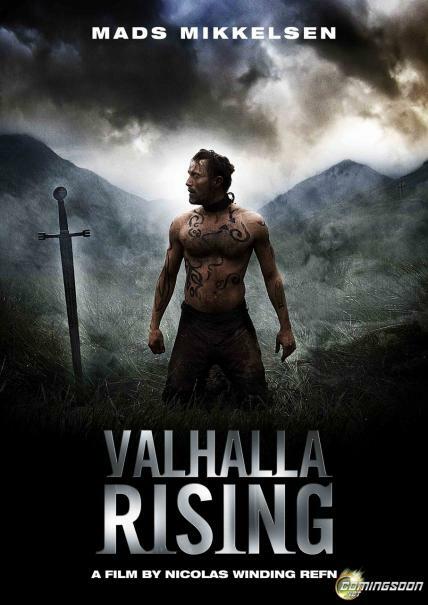 Mute slave HARALD escapes his Scottish masters with the help of 10 year old ARE, torturing and killing them before joining a band of dispossessed Vikings. They go to sea, determined to return to Scandinavia to fight the spread of Christianity, but for HARALD the journey is also a personal one to discover his own origins. Caught in a terrible storm, the group drift for 40 days until, on the verge of death, they find themselves in a freshwater river. The land seems at once strange yet familiar. When they come under attack by unseen assailants, the groups' quest for their homeland takes on a bitter urgency as one-by-one they succumb to the onslaught, dying at the hands of the invisibles. Worse, they are no clearer about where they are or if this place even exists outside their imagination. Have they finally reached the new world, or Valhalla? Meanwhile, HARALDS's search for identity is compromised when ARE is captured. As the enemy reveal themselves, HARALD realises he has finally found his identity but at too high a price. As ARE’s life is threatened, HARALD is faced with an impossible choice; save the boy or save his soul?